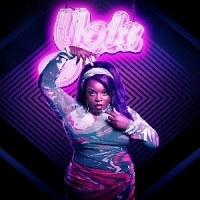 Yola is British gospel-soul/Americana singer-songwriter and former Phantom Limb front-woman, Yolanda Quartey. She has also lent her vocals to releases by Duke Dumont, Massive Attack, Chase and Status, DJ Fresh and many more. Releases include the 2016 EP, "Orphan Offering" plus the 2018 album, "Walk Through Fire". Sat 11th May 2019 YolaWhelan's (Dublin)More Info..